Take one part blues traditionalist, blend it with a forward-thinking music academy graduate, serve with a side order of skill and a garnish of Nordic beauty. What have you got? 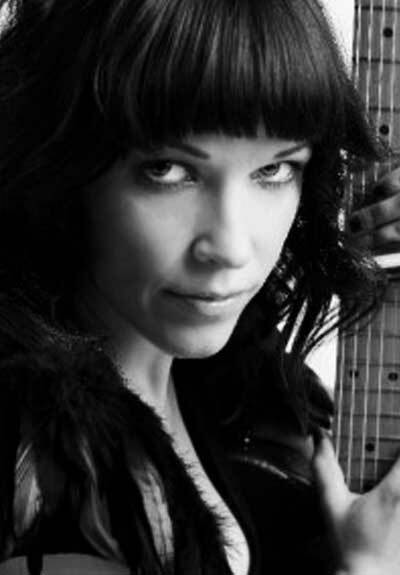 Singer/guitarist Erja Lyytinen, a.k.a. “the Finnish slide goddess” (The Blues Magazine). Erja Lyytinen is an extraordinary Blues guitarist in more ways than one. She knows all the right bends, and she is a great slide player, too, but what sets her apart is her judicious use of effect pedals to spruce up her tone. Most Blues-anoraks swear by the old saying that “the tone’s in the fingers”. Erja’s tone is in her fingers, too, but that doesn’t stop her from adding a little extra spice with a few well-chosen effects.